Burundi's President Pierre Nkurunziza in 2016. A referendum could extend his time in office for decades. Yolande Bouka, a research fellow at the University of Denver who has studied Burundi's current political crisis in detail, says the proposed constitutional amendment makes it easier for the ruling party "to get its way." It gives the president broader powers to control the legislative agenda, for example, and it also makes it easier for the president to minimize the influence of other political parties and ethnic minorities. "The very basis on which the Arusha Agreement was designed, which was to make the political system more inclusive to avoid the type of violence Burundi experienced since the '60s and the '70s all the way to civil war in the 1990s, all of that is undermined with the new constitution," she said. In some ways, Burundi is already seeing some of the consequences of the consolidation of power in the country. Human rights groups have charged that the lead-up to this referendum has been marked by intimidation, beatings and even killings. In a report released last month, Human Rights Watch detailed more than a dozen cases of intimidation, many at the hands of the Imbonerakure, the ruling party's youth league. One man, reports Human Rights Watch, was heading home when he was stopped at a roadblock by members of the Imbonerakure. He could not prove that he had registered to vote, so the young men beat him yelling that not registering to vote meant he was "against the referendum." Reached by telephone, Ndayizeye Sylvestre, the chairman of the Imbonerakure, said he could not speak to the media about the referendum or about the allegations against the group. The government, however, has vehemently denied any repression, calling the reports propaganda. Last month, the government jailed a supporter who called for the drowning of government opponents. And the ruling party, the National Council for the Defense of Democracy — Forces for the Defense of Democracy (CNDD-FDD), issued a statement saying they were "surprised" by the comments. They added: "The party urges all its members to exercise political tolerance and asks for justice in this case." The most recent bout of violence in Burundi started in 2015. President Nkurinziza, who came into power as the war ended in 2005, announced he would seek a third term. Critics called it illegal, because the constitution based on the 2000 Arusha Agreement limited a president to two terms. But Nkurunziza ultimately prevailed in court, arguing that in 2005 he was elected by parliament and not the people, so he was entitled to a third term. His party splintered and it all came to a head when one of his former allies attempted a coup. Nkurinziza survived, but the country has been in a slow-burn conflict since. The now-banned human rights group ITEKA League found that between April 2015 and May 2018, 1,710 people were murdered, 558 were tortured and more than 8,000 were arrested. Over that same period, more than 400,000 Burundians fled the conflict into neighboring countries. A commission created by United Nations Human Rights Council in 2016 has consistently found that crimes against humanity have likely been committed in Burundi and that in a country with a history of tribal-based violence, government leaders have used ethnic attacks to "help create a dangerous climate of hate [that] could rekindle ethnic tensions." Stephanie Mbanzendore, who runs Burundian Women for Peace and Development, an organization that focuses on reconciliation, says after Nkurunziza took power in 2005, she was hopeful. She had left Burundi in 1994, but the government was open and inclusive she said. After 2015, she says things changed. "Again, this division came back. Now we are talking again more and more about ethnic group," she said. "And I hope that we come back to when we were talking about inclusivity ... when you felt this was my country, not because you are this or that but because you are a Burundian." Bouka sees this referendum as a naked power grab by Nkurunziza and says it goes beyond tribal conflicts between the majority Hutus and minority Tutsis. "Some of these measures are not meant only to exclude the Tutsi minority. They are also meant to undermine the possibility of the political elites on the Hutu side from challenging Nkurinziza and other people in his circle," she said. Back in 2015, Bouka points out, it was Hutus who wanted a chance at the presidency who began a rebellion that spiraled into months of intense violence. There is an important vote taking place today in the central African nation of Burundi. Citizens there are voting on a referendum that would allow the president to extend his rule through the year 2034. Now, the run-up to this vote has already been marked by violence, and there are fears this controversial referendum could unleash even more. NPR's Eyder Peralta has been monitoring the situation from his base in Kenya, and he joins us. Hey, Eyder. GREENE: So how's this vote playing out so far? PERALTA: I mean, so far, we know that people have begun voting. We have not heard any reports of major violence, but a colleague in the capital, Bujumbura, tells me that at least one effort from people to vote no has been stopped by police. And as you mentioned, you know, the run-up to this has been incredibly tense. Opponents of the referendum have been beaten, tortured and even killed. And over the weekend, the government said terrorists crossed the border from Congo and killed two dozen people in a small village. The government didn't say if this had anything to do with the referendum, but it gives you an idea of the kind of tension and fear in the country. GREENE: Yes, certainly, at the very least, people who are opposed to this president, it sounds like they are living in fear potentially. Can you remind us of the context here? I mean, who is Burundi's president, and how did we reach this point where he's trying to extend his rule for a very long time? PERALTA: Yeah, so Pierre Nkurunziza became president in 2005, and he really ushered in peace after what was a really long and bloody civil war. And he came to power under a new constitution, and it was a constitution that called for inclusion and protected the interests of the minority Tutsi population. It was really a victory for the region. 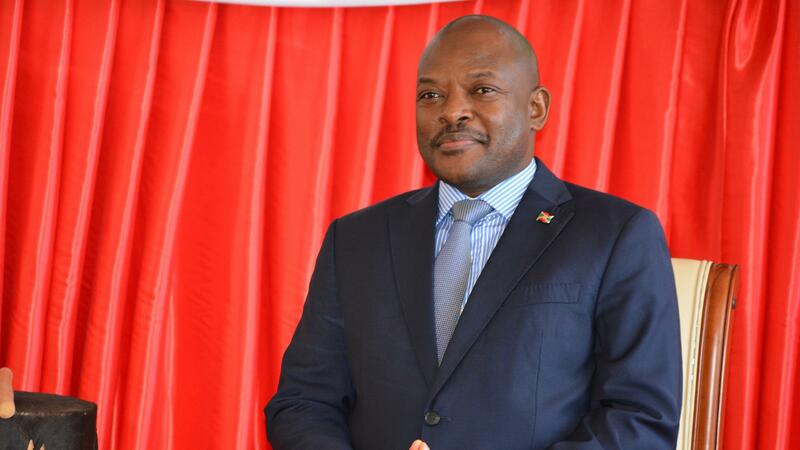 But in 2015, Nkurunziza stepped out of the constitution and decided to run for a third term. There was a coup attempt, but it failed, and Nkurunziza survived. And since then, the country has been in the kind of slow burn conflict. But it's serious. More than 450,000 Burundians have fled to neighboring countries. GREENE: Wow. And so if that conflict has been simmering, is this the moment when there could be a return to an all-out bloody war? PERALTA: I mean, that has certainly been the fear. You know, the country has a lot of the same dynamics that Rwanda does. It has the same ethnic groups. And back in 2015, after the coup attempt, there was a real fear that Burundi could become the next Rwanda. But I spoke to Yolande Bouka, a researcher at the University of Denver, and she has studied the current situation in Burundi in-depth, and she says this is much more complicated than tribe. Let's listen. YOLANDE BOUKA ASSOUAN: So we're not only talking about Burundi, a potential risk for ethnic tensions. We're talking about Burundi, a country where political actors, regardless of whether they are Hutu or Tutsi, have a lot to lose if they're not in line with the political elite within the CNDD-FDD. PERALTA: So the CNDD-FDD is a ruling party in Burundi. And Bouka says that we should keep in mind that in 2015, the people who attempted a coup against Nkurunziza were fellow Hutus. So, yes, there is a chance that this will become very violent and driven by ethnicity. But this referendum also makes it a lot harder for anyone with political ambitions to take over power democratically. And so that leaves the door open to violence. GREENE: Well, given all of this, Eyder, any idea how this vote is going to go? PERALTA: No. I think there's very little doubt that this referendum will go through. And the thing to remember is that this is bigger than the extension of a president's rule. In a lot of ways, it begins to erode the compromises that brought peace to Burundi. So if it passes, as we think it will, you know, it's going to have a significant effect. GREENE: NPR's Eyder Peralta reporting from Kenya. Transcript provided by NPR, Copyright NPR.